They are small, nocturnal, and are hard to see as they camouflage themselves well. Three of our species live on land in shady, moist forested areas, and one is semi-aquatic, living on stream edges. they don't have a tadpole stage. The embryo develops inside an egg, and then hatches as an almost fully-formed frog. The young of most species are cared for by their parents - for example, the male Archey's frog may carry his young offspring around on his back. There are also three introduced species of frog in New Zealand. These species are easily distinguished from native frogs because they have loud mating calls and pass through a tadpole stage. 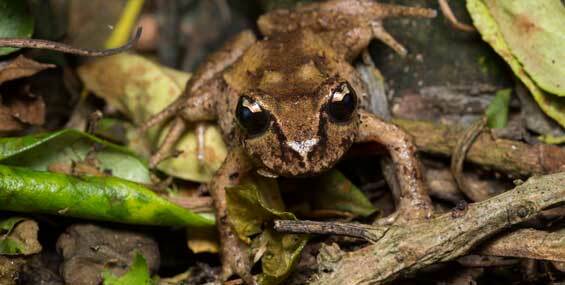 Identify introduced frog species. Hamilton's frog (Leiopelma hamiltoni) is one of the world's most endangered frogs, with less than 300 individuals remaining. 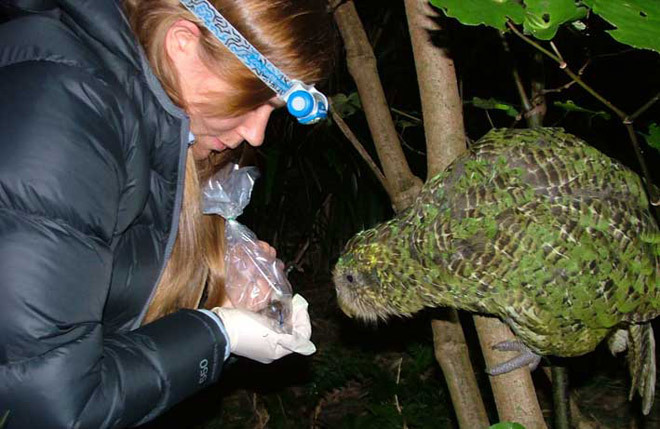 Fossil records show it was once spread from Waikato to Punakaiki, now it survives only on Stephens Island in the Cook Strait, where it is carefully managed by DOC. DOC has created a second population of the frogs on the island as insurance against a disaster, such as fire, wiping out a sole surviving population. They're enclosed in a predator-proof fence as tuatara occasionally eat them. The Hochstetter's frog is the most widespread native frog and has been sighted around the upper half of the North Island, including at Waipu, Great Barrier Island, the Coromandel, central North Island, and the Raukumara Ranges. It is generally dark brown, grows up to 48 mm long, has partially webbed feet and has more warts than the other native frogs. 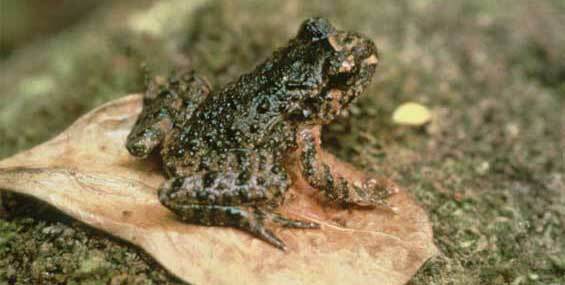 Maud Island frog (Leiopelma pakeka) is found on Maud Island in the Marlborough Sounds. In 1997, 300 Maud Island frogs were successfully transferred to Motuara Island – the first-ever translocation of a native frog between islands. Frogs are declining everywhere in the world. More than most creatures, frogs are sensitive to disease, pollution, chemical poisons and environmental changes, as they absorb many things through their sensitive skin. Fossil records show that our native frogs were spread throughout both the North and South Islands several thousand years ago. The four remaining species have declined significantly in range and in numbers over the past 1-2,000 years, as land has been cleared of forest and predators have been introduced. Frogs are vulnerable to introduced predators such as rats and cats. Over the past 25 years amphibian populations have declined throughout the world and disease is considered to play a major role. 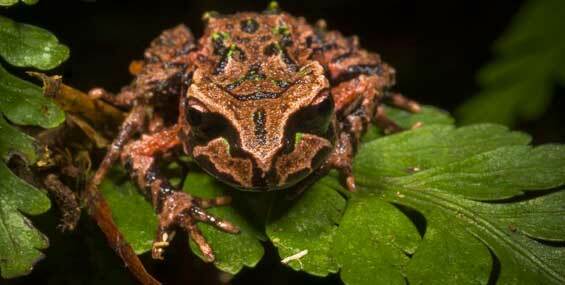 Amphibian chytrid fungus is a disease that is in New Zealand and a major threat to frogs worldwide. The fungus has been confirmed in introduced frog populations all over New Zealand and in native frog populations on the Coromandel Peninsula and in the Whareorino Forest. The fungus relies on damp conditions to survive and to spread. It can be spread from frog to frog contact or through contact with infected soil and water. People, animals or vehicles can spread the amphibian chytrid fungus by moving soil and water around on their boots, gaiters or equipment. DOC has a Native Frog Recovery Group that coordinates management and research into native frogs to help with their conservation. The impact of 1080 on native frogs has been investigated, and methods for frog monitoring and translocation are being developed and improved. Frog distribution and their numbers are also being documented. Avoid touching frogs, because you may damage their sensitive skin. If you have a permit to touch them, make sure your hands are wet. Avoid spreading the amphibian chytrid fungus by avoiding visits to areas where native frogs are found. If you need to visit native frog habitat, you must ensure all your footwear, gaiters and equipment are clean and disinfected. As native frogs are small, well-camouflaged and nocturnal, they are hard to find. 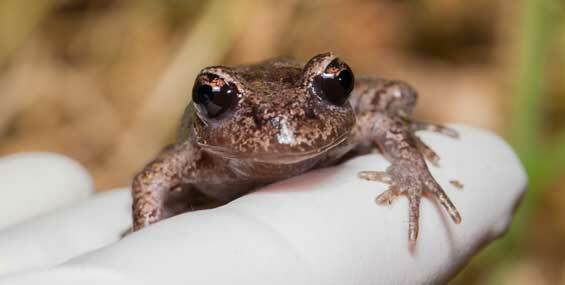 You can assist DOC greatly by reporting any sightings of native (and introduced) frogs. Record carefully the location, the type of habitat (stream edge, forest floor), the time and date you sighted them, and if possible take photographs. DOC is also interested in records of introduced frogs as populations may transmit disease, or directly compete or predate native frogs. Use our introduced frog identification key to find out what species you have found.